Check out this cool YouTube video of Paul Gilbert and pickup guru/photographer Larry Dimarzio. In the video, Paul and Larry talk about pop culture and music while Paul riffs on his awesome new Ibanez Fireman guitars. Paul discusses his current love affair with the Dimarzio Air Classic. It’s interesting to note that there are 2 different Fireman models pictured: one with a pickguard and three single coil Dimarzio Area 57s, and one with twin Air Classic humbuckers. Will both of these models be released this year? I’m sure we’ll find out at NAMM. CLICK HERE to search for Dimarzio items on eBay. CLICK HERE to search for Ibanez PGM guitars on eBay. CLICK HERE to buy Paul Gilbert & Freddie Nelson’s ‘United States’ CD. CLICK HERE to buy the ‘Get Out of My Yard’ instructional DVD. 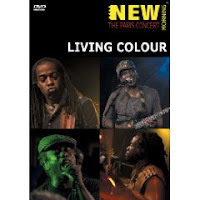 Living Colour seem to be on a roll with the live releases lately. First there was the CBCB OMFG Masters live CD. Then there was the Paris Concert DVD. Now they’re about to release a 2-CD collection featuring all 17 songs from the concert that spawned the DVD. CLICK HERE to watch a performance of ‘Go Away’ from the DVD. The 2-CD set will be released on March 10. CLICK HERE to buy the CBGB OMFUG live CD from Amazon.com. CLICK HERE to buy the Paris Concert DVD from Amazon.com. CLICK HERE to search eBay for Living Colour items. 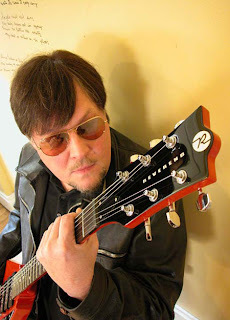 Ron Asheton of The Stooges has died aged 60. According to MLive, Asheton was found dead in his home in Ann Arbor, Michigan on the morning of January 6. His personal assistant contacted police late Monday night after being unable to reach Asheton for days, Detective Bill Stanford said. Officers went to the home on Highlake Avenue at around midnight and discovered Asheton’s body on a living-room couch. He appeared to have been dead for at least several days, Stanford said.